Today I picked up the keys for our apartment. It’s in a block in the Al Sadd district of Doha… a nice area, and like most of the city full of building sites. Block C of the Barwa development is a modern 11 story building only a year or so old. Our apartment is on the tenth floor. We will be its first tenants. It has three large bedrooms, one with an en-suite, a large L-shaped living room and dining room, a kitchen, cloakroom and bathroom. Floors are tiled, the walls are cream, the ceiling very high. I like it, which is good as it will be our home for the forseeable future. We’ll move in once we have furniture, hopefully in the next few weeks. Looking back at the last blog, it dwelt slightly heavily on the leaving and perhaps I should have ended it with the sentence “I am now really excited about the new life we will have in Qatar”. That new life started today at 4.24pm local time when the Qatar Airways flight 018 touched down at Doha International Airport. My work visa allowed me to pass through immigration quickly. J arrived on a visitors visa which will soon be exchanged for a residents permit. For a few weeks we will still be living in the Movenpick hotel… three meals a day provided along with laundry. It is an artificial existence and one which I hope is not prolonged. 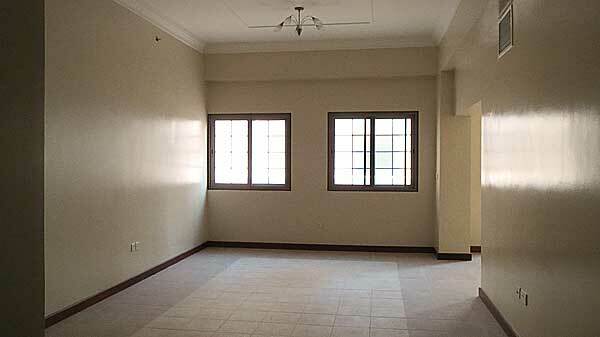 While I was back in the UK I received an email to say that I had been allocated a three bed Barwa appartment in the Al-Sadd district and the keys would be available for collection. It will be completely unfurnished, not even white goods. So furnishing will be a trip to IKEA in Dubai… but that will be another story. We were up at 4.30am this morning to complete boxing away all the things we will be shipping to Qatar. A large pile of boxes was collected this morning at 10am from the garage. The garage is now completely empty. The only other time I have seen it like that was just before we moved in 25 years ago. I am writing this sitting at a garden table in our living room, or at least what is left of our living room.The house echoes when I talk as there are no furnishings left to dampen the sound. We’ve tidied as best we can, but not much more we can do as the vacuum cleaner is now with our other belongings with the airfreight courier. Apart from the aforesaid garden table and its matching chairs, there are two chests of drawers and a bed and mattress, all waiting more patiently than I am, to be collected by Sue Ryder for the charity furniture store in Fareham. There are few things to take to the tip, some bottles for recyling and the car is going back to the Citroen dealership. Once this stuff is gone, all that is left are the three suitcases we are taking on the plane tomorrow morning. Our children grew up here. It is full of memories. In four days someone else will be living here. Although we will own it, the house won’t be ours anymore. I am fairly certain we will never live in it again. The colour of the sky outside is grey… it’s raining and I am cold. The weather forecast suggests that it will rain for the next few days. This is the first time I have seen rain in the last three weeks… it is the first time I have seen a cloud in the last three weeks. It is also the first time I have been cold in the last three weeks. Of course, it’s because I am back in England. So whilst it is getting colder, wetter and more generally autumnal in the UK, and heading towards who know what sort of winter, in Qatar the summer is also ending. The autumn to spring months in Doha will be more temperate, akin to the best summer days in the UK… very hot but not quite too hot… not to everyone’s taste, but for me certainly preferable… there is even the forecast of rain in Qatar. Tomorrow morning I will be boarding a Qatar Airways flight back to the UK to complete the final part of our move to the Gulf. In two weeks time someone new will be living in our house. In the meantime we have to clear out the last of our belongings to leave the house completely empty. Since we decided to move the house has been completely redecorated and a whole bunch of repairs and improvements done… cleaners will be in to add the final spit and polish… so it’s nicer now for our tenants than it ever was for us. 300kg of domestic items are going to be air-freighted out to Qatar, a few more boxes and bits of furniture are going into storage and our 46kg baggage allowance will be used to bring all the things we’ll need during the next few weeks. 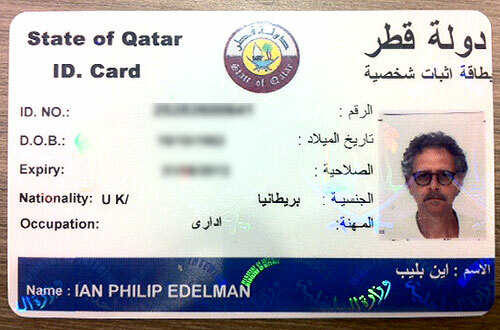 We’ll be leaving the UK finally on 28 September, but the next blog post have to wait until we are back in Qatar. I was walking in the Souk Waqif on a Saturday afternoon when I came across the local military marching partice. I received my Residency Permit this morning so I now have an ID card and passport visa. Now I can open a bank account…. which I did this afternoon.